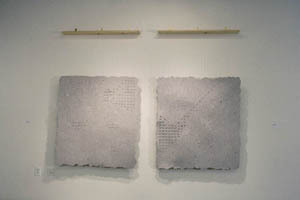 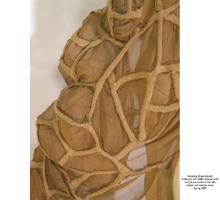 Part II of FiberScene’s 2009 Summer Graduate Show continues with the work of 2 graduates from CCA as well as a group of upcoming designers from RISD. 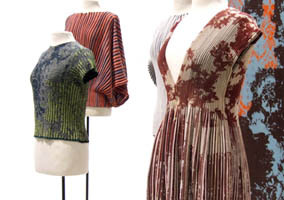 The MFA Graduates in our show demonstrate an ongoing shift towards the bridging of art and design. 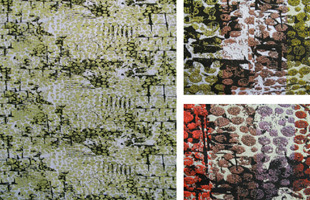 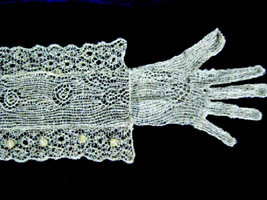 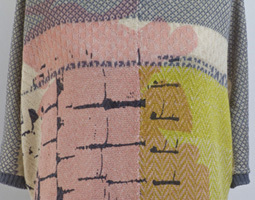 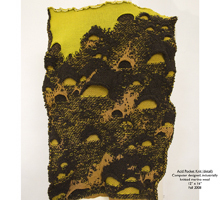 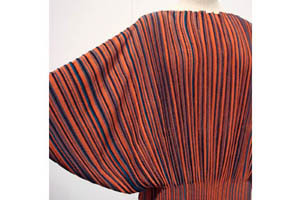 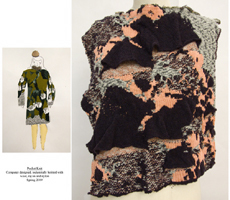 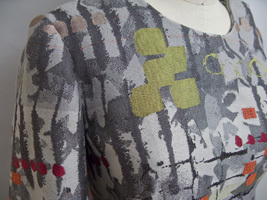 Much of contemporary fashion design reveals strong influences from textile art. 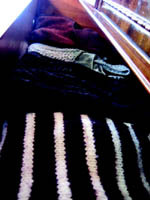 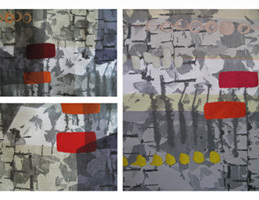 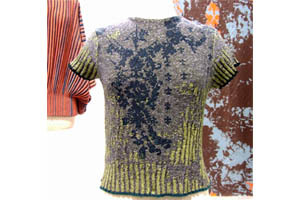 In recent history textile artists have researched and experimented with ancient and ethnographic techniques of applying color to fabric. 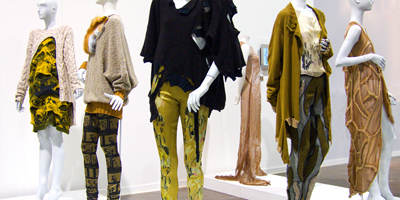 What once was “wearable art” is now firmly established in contemporary design. 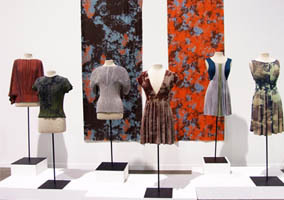 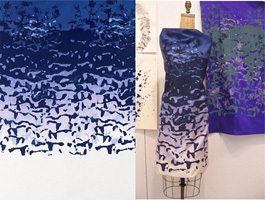 Our 2009 RISD Graduates reference these previous modes of thinking while combining an increased use and mastery of technology such as computerized jacquard looms, knitting machines, and digital printing. 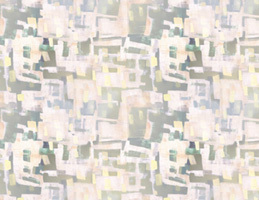 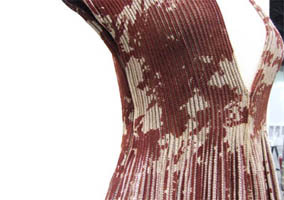 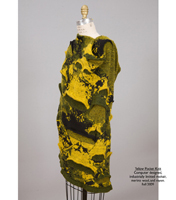 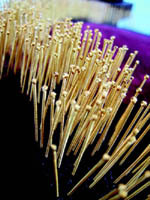 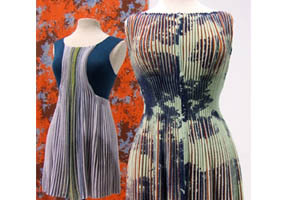 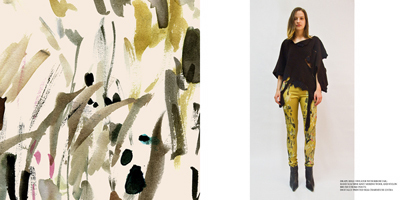 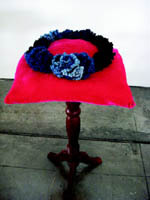 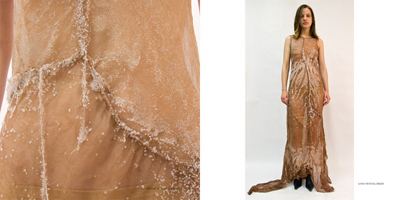 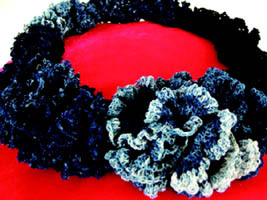 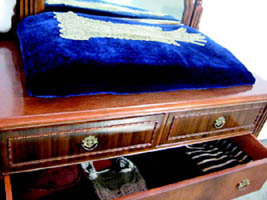 Their textile art creates innovative, fashion forward designs. 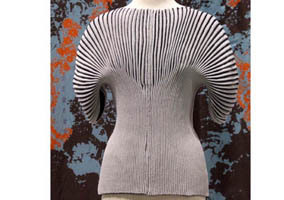 The lines between art and design blur in work such as Ann Gitelson-Kahn’s Hasidic, deconstructive knitwear and Joseph Aaron Segal’s flowing pieces. 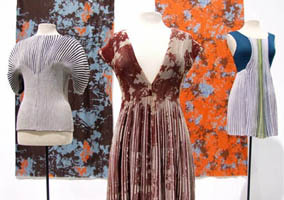 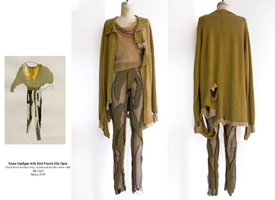 While decidedly wearable, these garments have a closer connection to the highly conceptual installation work of CCA graduates Julia Goodman and Amy Keifer. 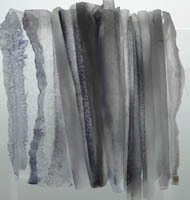 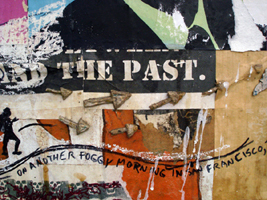 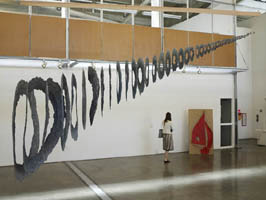 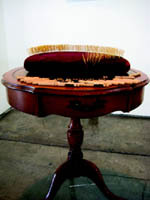 Fiberscene’s show of diverse student work is a reflection of the growing shifts and attitudes in the art world today. 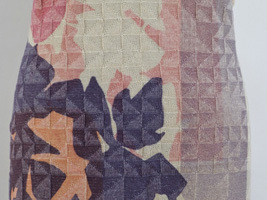 We welcome your thoughts. 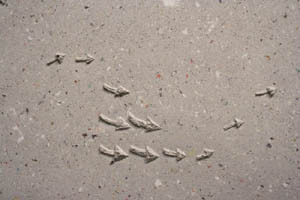 Individual arrows vary in size, no larger than 2" x 2.5"
64" x 31" x 2.5"